This first feature is called “Pre-Safe®” for its protective features to promote safety just before an accident. Pre-safe® sound specifically functions to protect your hearing. This is important, as automobile accidents can be quite loud and damaging to passengers’ ears. It works by emitting a frequency throughout the car that serves to dominate your hearing and protect your ears from other sounds. Like Pre-Safe® sound, this feature also works to dampen the effects of an accident on the car’s passengers. Organized into air chambers on either side of the front seats, this feature works to detect a lateral impact and promptly shift front passengers in the opposite direction. Ever gotten into a preventable accident that occurred because of your own error. For example, perhaps you’ve rear-ended another vehicle that you didn’t see in time. Well, the active brake assistant works to halt the vehicle for you. Upon sensing an impactable object that you may or may not see, this feature promptly activates the brakes in order to prevent an accident. This works by utilizing a collection of sensors throughout the car. With autonomous driving on the rise, this feature helps to similarly implement a sense of an auto-pilot to your driving experience. Drive pilot revolutionizes cruise control by closely tracking the vehicle in front of you. It monitors the vehicle’s speed and position and keeps you at a close distance. It even has assisting capabilities to change lanes. Now, drive pilot is not a comprehensive auto-pilot that will drive for you completely. If and when that does come into play, this feature will certainly provide amazing support. Currently working in line with the drive pilot features, car-to-X communication works to relay information from nearby vehicles to yours. With this, the system will be able to detect potential accidents based on the movements of nearby cars. At the end of the day, the safety of you and your passengers should be one of your utmost priorities. 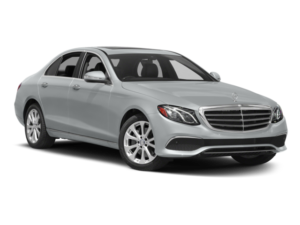 If you are looking to buy a Mercedes-Benz in San Antonio, TX, the E-Class is certainly a good choice. Its advanced safety features are at the forefront of automobile innovation. 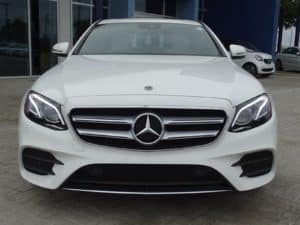 If you are looking for a safe car, this model certainly has potential to serve your needs.